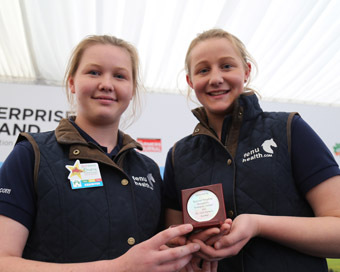 The Meath based company, which was set up by sisters Kate (16) and Annie (14) Madden is one of 57 companies exhibiting at the Innovation Arena and entered into this year’s awards. The ceremony was held at the National Ploughing Championships in Tullamore, Co. Offaly. In its first year, the People’s Choice Award is voted for by the general public via the Irish Farmers Journal website and app. The number of votes received totalled 14,008 with FenuHeath receiving 37% of the overall vote.